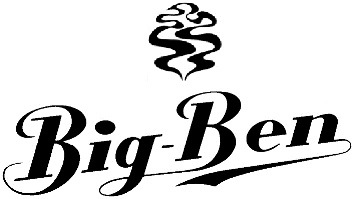 In my Hospitable Heukelum 2014 blogpost I revealed that the 2015 PRF forum year-pipe was going to be made by Dutch pipe-brand Big Ben. Like I told before, normally Shaun arranges the whole project but sadly he had been very ill this year.. Despite his sickness he managed to reach out for help and Dre answered his call. Dre (Andre) has very good connections with the Gubbels family from the Big Ben and Hilson pipe factory and regularly visits the place. So he asked if they could mean anything for the PRF pipe project. Unfortunately Big Ben only fire up their machines for a minimum of 500 pipes and the forum can never reach that number. BUT they had an alternative solution. 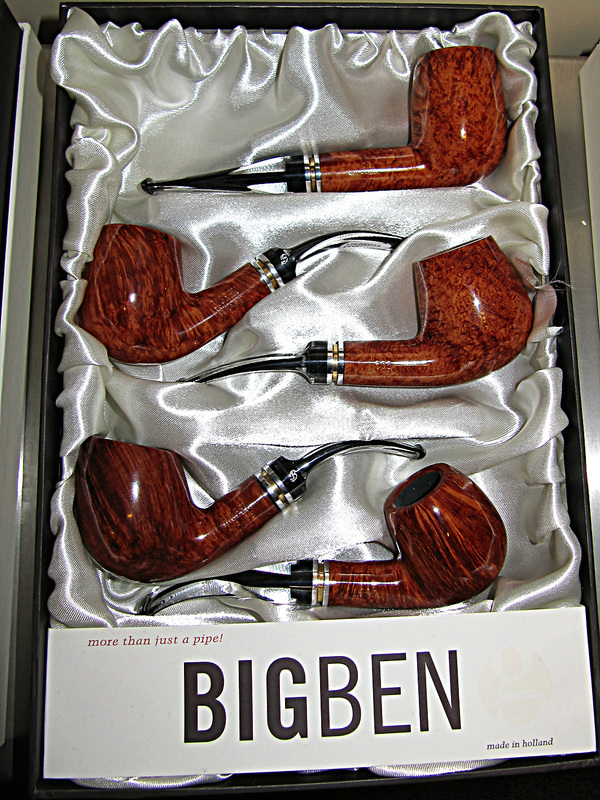 When I wanted to begin with pipe-smoking I knew nothing except that a Big Ben was a good pipe to start with. However, I preferred a model that was made by Hilson, a Hilson Event. The store owner explained to me that Hilson was made in the same factory as Big Ben. 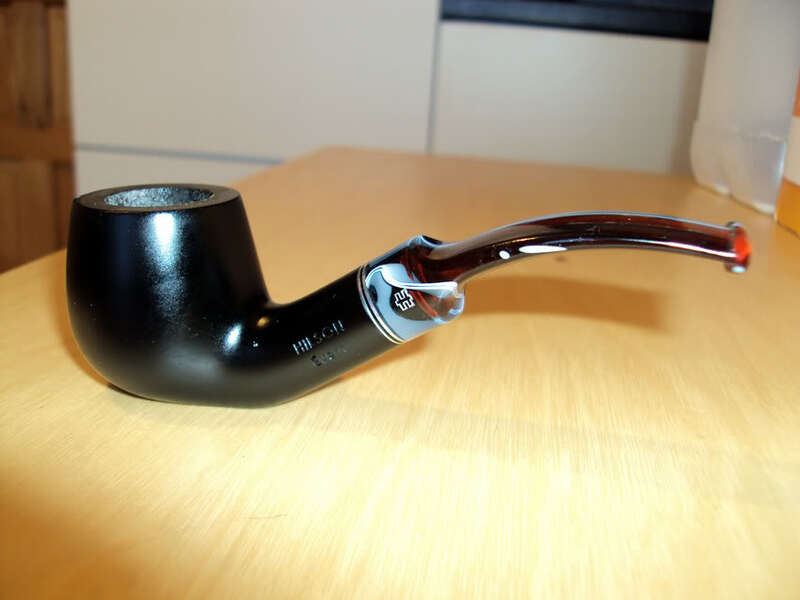 “Ok, I’ll take it!”, I said and bought my first pipe. Later I bought a Big Ben which roughly had the same model as the Hilson Event because I simply liked that shape back then. Both pipes I do not have any more, I gave them away when my tastes began to develop and change. Up to WWII Elbert Gubbels extended his business, mainly getting his supplies from France and England. Unfortunately The Netherlands were invaded by German troops in 1940 so the family fled north where they tried to make a living by buying and selling what little there was available. In 1945 at the end of the war they returned home to continue the business. A difficult task as material was lacking and importing stuff was almost impossible. 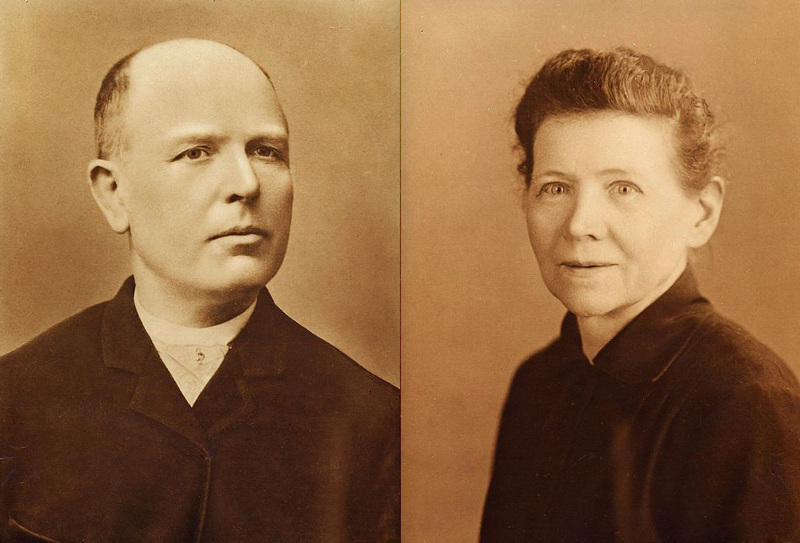 In that period Elbert Gubbels, now the sole owner of the business, decided to follow in Jean Hillen’s foot steps. He became totally independent and produced everything himself. 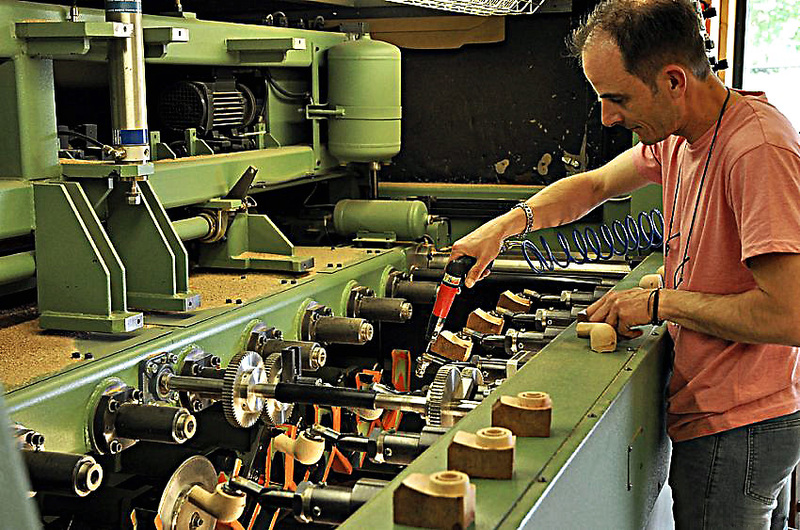 The factory began with 2 machines and 3 French artisans in a small workshop. In Bree a factory already existed and the sons of Hillen also worked there. Jos was in charge of sales and Albert production. 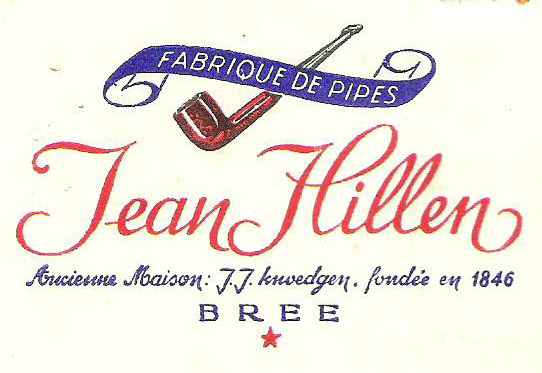 The brand name of the pipes that were sold abroad was simple: Hilson, to be precize, Hillen and Sons. Meanwhile the business Hilson was flourishing, producing a wide range of well-crafted and creative pipes. These were selling well in Europe and elsewhere thanks to their excellent reputation and good value for money. 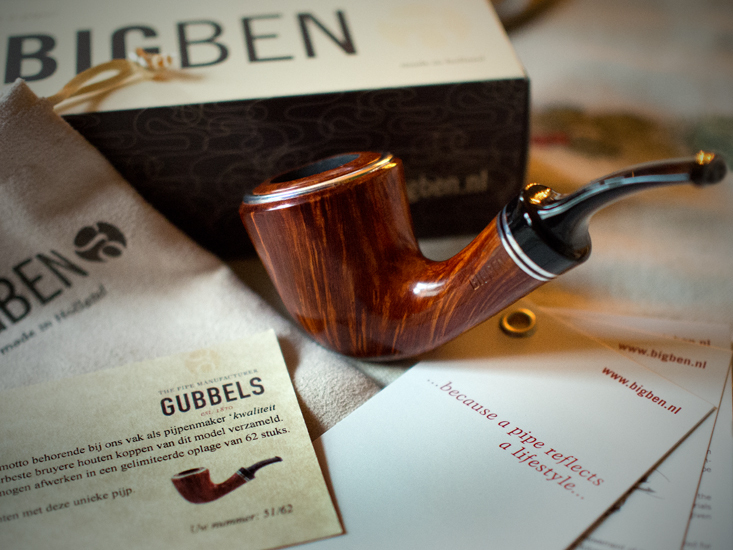 On the other hand the production of Gubbels was more traditional in style: natural or black briar models, straight or bent, just classic pipe design. Well, one exception.. 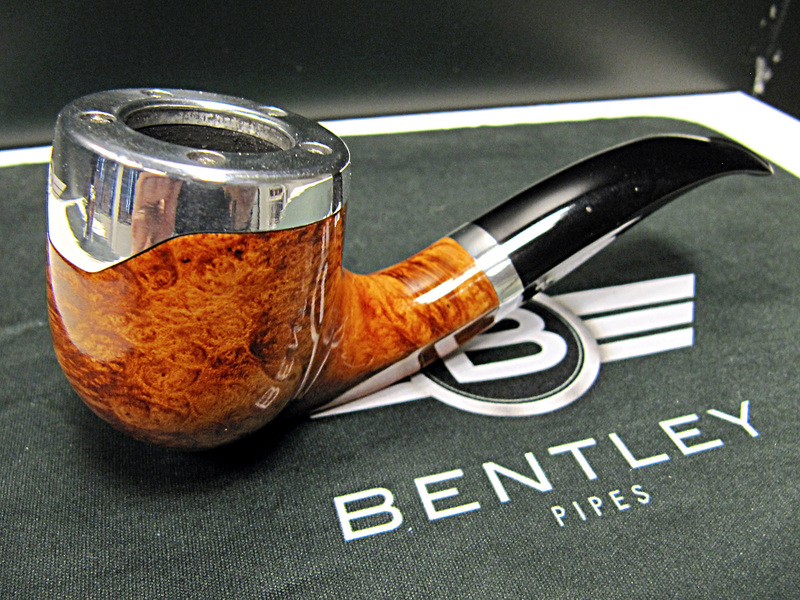 In that period the Pipo pipe appeared, a very small “nose-burner” designed by Alfons Gubbels, the son of Elbert, who had by that time joined the business together with his brother Jos. Alfons was in charge of production and Jos sales. 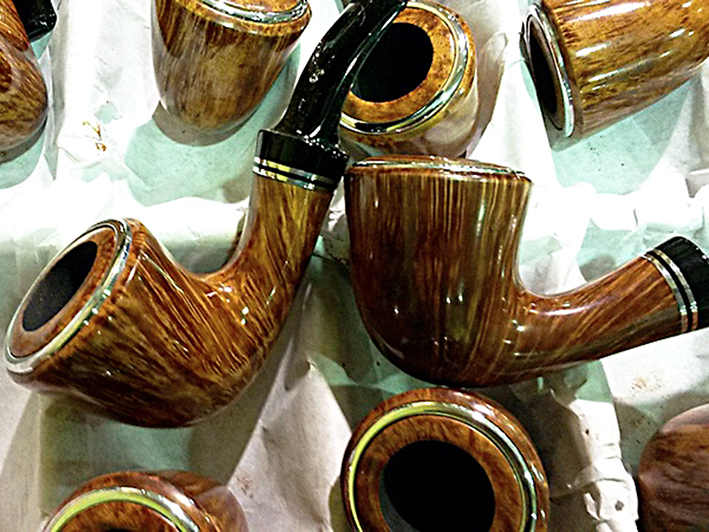 The unorthodox Pipo pipe was highly successful, selling world-wide, including the USA. At the end of 1972 the company moved into a bigger factory. Also the much coveted title “Royal”, in the name of Queen Juliana, was granted. 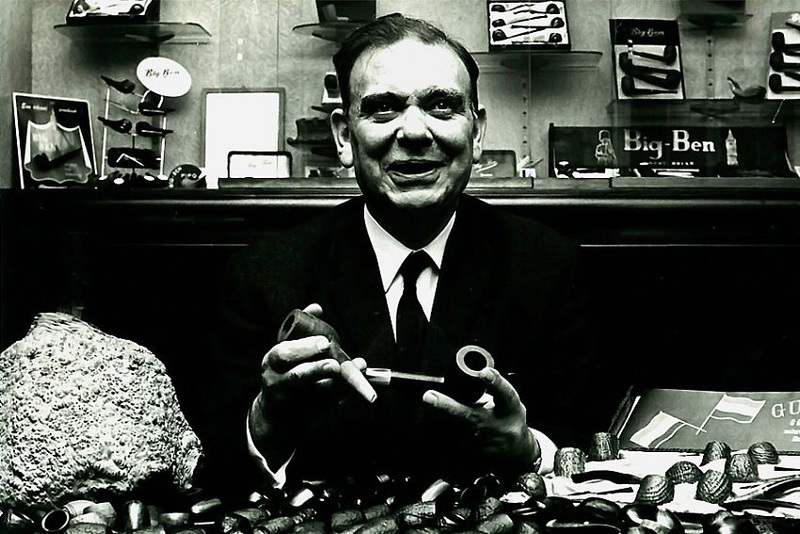 Thus the company name became “Elbert Gubbels en Zonen – Koninklijke Fabriek van Tabakspijpen” (“Elbert Gubbels and Sons – Royal Dutch Pipe Factory”). 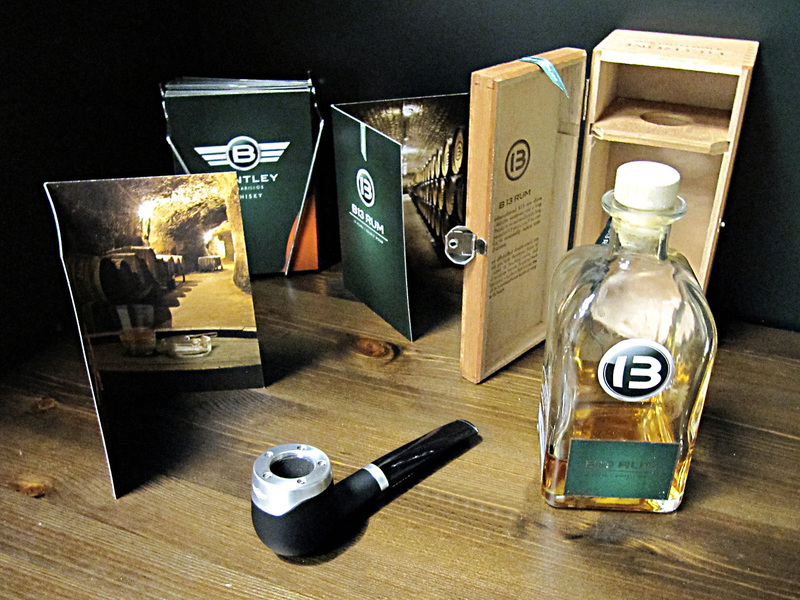 Since then the company has striven for excellence in every aspect of their production and above all in their mission: offering an increasingly discerning clientèle unique pipes. So since 2008 Rainer Barbi, the late famous German pipe maker, has been contributing to production and had the task of remodelling the Hilson brand until his unfortunate death. Also another great pipe maker, Former, has recently decided to offer Gubbels his creative sensitivity, art and some of his time. 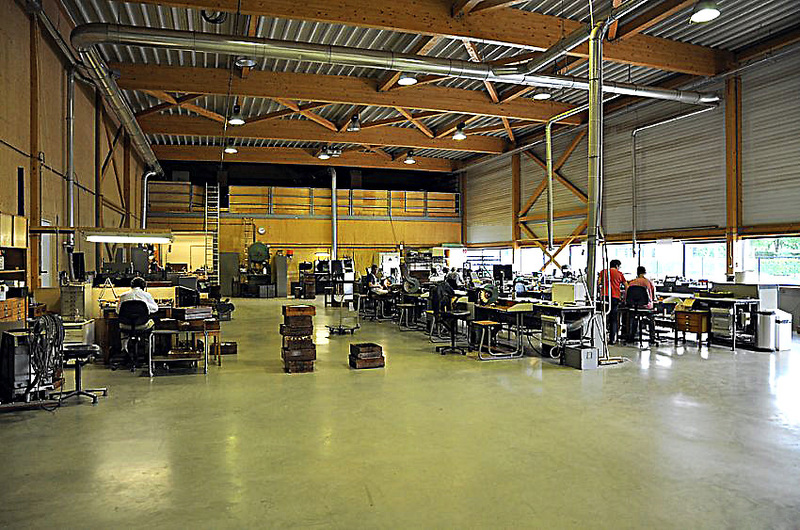 Besides manufacturing Big Ben, Hilson and other more minor brands Gubbels has also worked in partnership with other companies to create or refine unique models, such as Porsche Design (from 2005 to 2013) and currently Bentley. Unfortunately the financial crisis hit Gubbels in 2012 and the banks no longer wanted to finance the company. Who smokes these days?? So bankruptcy was a logical consequence, an unpleasant period. But the Gubbels family pulled through with capital of their own and had a new start. There was a change of direction with 20 in stead of 28 employees and despite the difficult market the export is growing. The Gubbels company is on the rise once again. 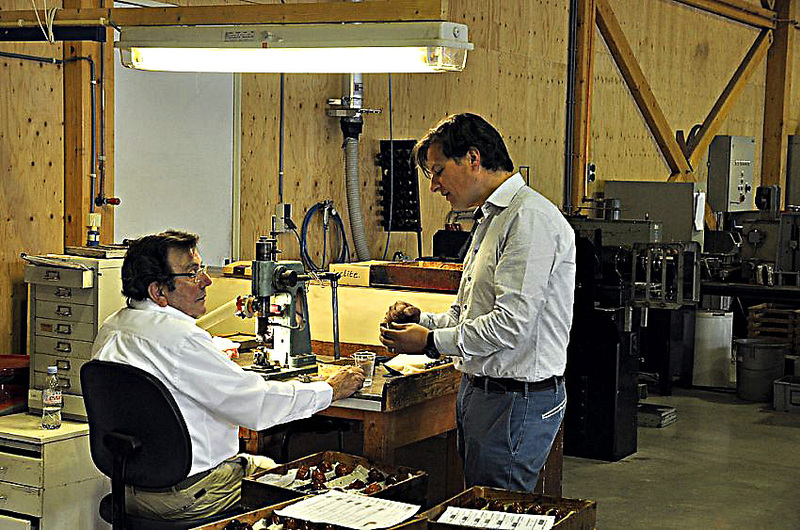 After explaining all the steps of the process Fons jr. guided me further around the factory. In the back there was a smaller hall with a big basket stacked full with briar and equipment to shape the bowls including a big modernized version of the Lamberthod machine. Of course the precise operation of everything was demonstrated. Seeing the immense Lamberthod device in action was very impressive, especially because Fons jr. had left the hood open so I could make some pictures. Afterwards he had to laugh when he looked at me, because my classy black suit was totally covered in the sawdust that came out of the machine.. “You will still find it in your clothes when you go to sleep tonight” he said with a big grin. 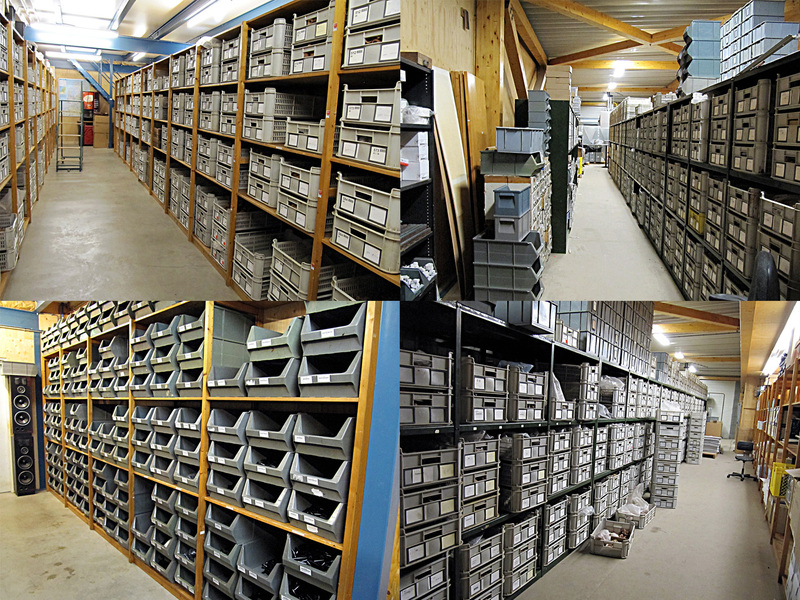 I also was led through the immense warehouse where you can find lots of pipes, pipes and ehrr.. Pipes! Uncountable boxes, drawers and crates stacked on to each other filled with unfinished pipe bowls, stems in all shapes and colours, (metal) rings etc. An impressive sight! There was only a small pallet with ebonite mouthpieces, Gubbels does not really use them because acryl is more durable.. Last but not least we went to a part of the warehouse where a couple of friendly ladies were packing orders. When the tour was finished Fons jr. and I sat together so he could explain the forum-pipe process to me once more and I could write down the steps. We talked a bit more and then it was time for me to leave and for him to go back to the assembly hall. I must say, my respect for Gubbels and especially for Fons jr. had really grown. If you just look at the new Bentley pipes and know how much difficult handwork is needed for the creation of those.. Anyway, I wish all people who have ordered the 2015 PRF forum year-pipe lots of smoking pleasure with it! It is an extraordinary pipe with stunning grain for a very, very good price and I really regret I did not order one now.. Thanks go out to Dre, Shaun, Fred, Elbert jr., Fons jr., Fons sr. and the employees at Gubbels for making the forumpipe and this blogpost possible! 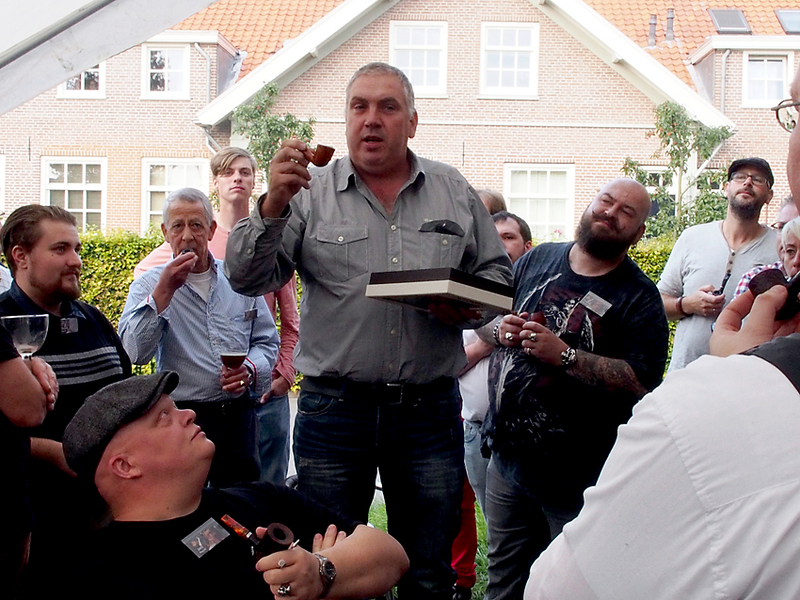 Thanks to all the people who made this possible and thanks to Arno for this piece of history. This proud owner of number 19 wishes to thank: Shaun, Dre, Fred, Elbert, Fons Sr. and Fons jr, and the employes at the Gubbels (Big Ben) factory. For a beautifull pipe. Thanx to Arno for an other nice piece of history. Thank you Arno for this very informative article ! I’m really impressed by the factory and the story behind it. Hello Bart, thank you for reading and enjoy your pipe!